Wicked Willow Event Florals is a company that goes above and beyond to make sure the flowers that surround you on your wedding day look like they have come from a magazine. These florists in Baltimore, MD have years of experience creating unique and custom arrangements for this exact occasion. They will listen to exactly what you would like the décor of your day to look like and then come up with completely new designs to make that vision come to life. 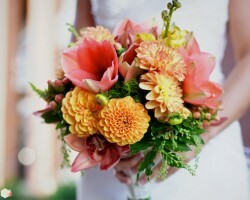 Your wedding flowers should be fresh, fragrant and colorful to accent the décor and the significance of the wedding day. This is why many couples in Maryland turn to Riedel’s Flowers, Inc. of their expertly arranged blooms. Not only does this company have a stock of designs to choose from but you can always make special requests and the team will do their best to accommodate. This is also one of the most affordable local flower shops so even more beautiful blooms can surround you without breaking the bank. Flowers By Evelyn is a Baltimore florist that specializes in creating beautiful decorations, centerpieces and all varieties of wedding arrangements. From floral headpieces for the bride and her bridesmaids to flower canopies and corsages, you can have all of the beautiful wedding flowers you want from one professional company. You will be able to discuss the color theme and the style of the event and this company will do everything possible to come up with creative designs to enhance the occasion. 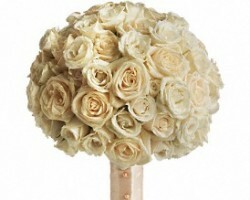 Romance and intimacy at a wedding are always enhanced when beautiful flowers surround you on your big day. 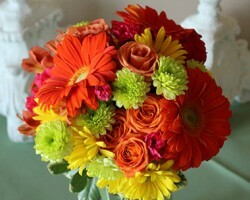 When couples want classic arrangements using some of the most beautiful flowers, they go to Flowers By Michael. 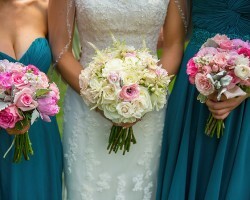 This company is known for being able to make the floral dreams of couples come to life. 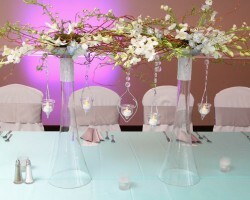 From the centerpieces to the decoration throughout the venue and the reception, you will love having a fresh selection of flowers, which has been proven in the countless positive reviews of this company’s work. One of the biggest mistakes that couples make when they are planning their wedding décor is to not pay enough attention to how the flowers will tie into the entire event. Blush Floral Design Studio does so much more than simply supply wedding flowers but rather creates an entire theme that delicately joins the colors of the bridal party with the accents of the venue. In addition to caring more about each detail this studio also supplies highly reliable flower delivery in Baltimore, MD, so you can guarantee every petal will be in place.